The editors of the world’s leading travel magazine, Travel + Leisure, have listed Seaside, Florida as one of the 100 Greatest Trips for 2009. Dreamland Heights and Inn by the Sea, Vera Bradley are listed as places to stay and Bud and Alleys as a favorite place to dine. You can pick up a copy of this 288 page hardcover from your local bookstore. 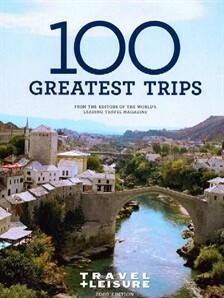 Travel + Leisure’s 100 Greatest Trips is the definitive guide to where to go this year. In one volume, the magazine’s up-to-the-minute picks for the best hotels right now are combined with photographs from T+L world-renowned photographers to make a guide that is more than a guide. It’s an evocative look at the hotels and resorts that will make your next trip the trip of a lifetime.